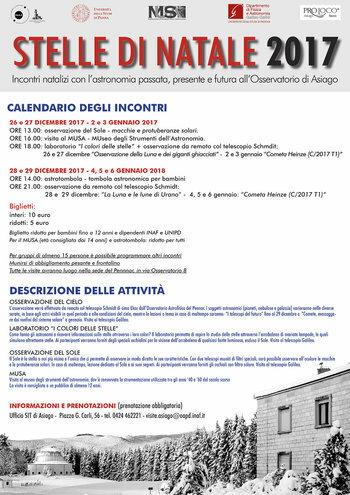 From 26 December 2017 to 6 January 2018 atAsiago Observatory there will be some interesting events for adults and children dedicated toastronomy past, present, and future. There are many activities you can enjoy during the meetings: for example, you will observe the sky with the Schmidt telescope, visit the MUSE or participate in the tombola is astronomical. A series of meetings to discover the fascinating world ofastronomy during the Christmas holidays. 13.00 hours: Sun observation and stains and solar prominences. Hours 16.00: visit to MUSA-Museum of instruments of astronomy. 18.00 hours: Workshop "the colored stars" + remote observation with Schmdit telescope. Hours 21.00: remote observation telescopes Schimdit. All visits will be held at the headquarters of Pennar. For groups of 15 persons is possible to organize other meetings. For the MUSE (recommended age from 14 years) and astrotombola tickets are reduced for everyone. 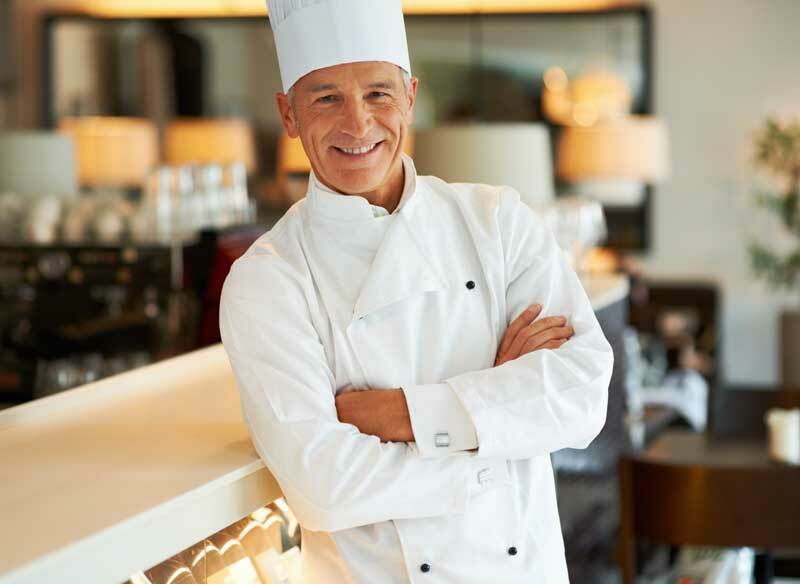 For more information and reservations contact the SIT by clicking the buttons below.